Boyle is professor of international law at the University of Illinois College of Law. He said today: “Any U.S. attack targeting the Syrian government or its forces would clearly violate both U.S. and international law. When Obama was in a similar position in 2013, his advisor Ben Rhodes [see below] has since commented that they turned back largely because they were afraid of impeachment. That fear is well founded. While the prospect of impeaching Trump is thrown around frequently for partisan purposes, on this issue, the constitution is clear: Initiating a war or any such attack without authorization is clearly impeachable. Trump should take the bait so he can be impeached, be replaced with a black Democrat and the news cycle will go back to nothing but positive stories about how great the country is doing. if trump is out pence is in. The left has been wanting Trump to go to war with Syria and Russia. Now that we might be going to war, they want to impeach him. Wow... anyways here is the situation in Russia. The left has been wanting Trump to go to war with Syria and Russia. Now that we might be going to war, they want to impeach him. When hasn't the left wanted to impeach him? But this thread isn't saying the left want to impeach him, it's about a professor pointing out that attacking Syrian forces could be an impeachable action. He wont be impeached over Syria. They are ALL begging him to do it. They would love every second of it. Impeachment had nothing to do with why 0bama didn't go full force into Syria. He didn't have the support of any of the people, or the military. It was going to all but guaranty Dems would lose big time in the next election. Its why we are seeing media try ever so hard to rally peasants to support this. We do seem to be pushing the envelop of what is considered a "police action". Constitutionally congress is supposed to declare war before the president can go bomb other countries. No one cared when it was ISIS or the Taliban or even a smaller country, but now we are talking about other world powers like Russia. Depends on what the evidence is regarding the gas attack. If there's strong evidence that Assad is behind gassing these groups of people then the issue of genocide comes into into the picture. Action taken to stop genocide is in a specific category. Are you certain about this? The War Powers act is what the presidents have been bending for decades and I don't recall seeing anything about genocide. Even if chemical weapons were used, a single use of chemical weapons is hardly an act of genocide. Thousands, even 10s of thousands, perhaps even 100s of thousands would need to be killed before you can start using the word genocide. Remember back when Bill Clinton was President and there was genocide going on in Bosnia and the US used airstrikes? That's where the precedent was set. Although they did not use the term 'genocide', I believe they called it 'ethic cleansing'. Basically, the murdering of specific groups of people was taking place and the US launched air strikes against Milosevic's forces. I'm not sure if what's happening in Syria is in the same category though. However, if there's evidence of 'ethnic cleansing' taking place then it does seems there may be a precedent. We just don't know all the evidence so it's difficult to know. The people being cleansed in Syria are anti-government forces not an ethnicity. Now if they used them on the Kurds that may be a different story. But of course this all hinges on if you find it believable or if the proof is incontrovertible that it was the Syrian regime that used the gas. I don't believe it myself and I have seen zero proof. The maniacs in our government stating something is not proof to me. Depends on the reason they use them too. Killing a lot of people of a particular ethnicity isn't genocide unless their ethnicity is the reason you're killing them. E.g. ISIS killing yazidis is genocide. Us killing Muslims (because they fight for ISIS) is not genocide. Trump, for all his faults, somehow brought NK back from the brink of starting such a war. The Dems are looking for any reason to impeach Trump - right down to multiple ice cream scoops. If they did impeach him, we would still be going to war but under new leadership. It's a win-win for Democrat war-mongers should this play out the way they want. Nobody has brought up that Assad is Shia and the majority of the population are Sunni. Iran has been trying to impose dominance in the region through Iraq and Syria. This will just not sit well with Saudi Arabia. There is ethnic cleansing going on in favor of Shia. That was actually considered a breach of the War Powers act as well. It's one of the earlier stages of the creep up I am talking about. When bad people kill people and destroy things, good people kill more people and destroy more things. This is called justice. I'm sure he paints an impressive, cogent case but I won't bother to read it because it's superfluous to the issue. Impeachment is a purely political exercise. Sure, if the president actually committed a crime that could be understood by the average American, removing him might be an easier task but the actual act of the House of Representatives INDICTING the president for "high crimes and misdemeanors" can be accomplished without proof of any kind of statute being broken. IOW, HC&M's is what Congress SAYS they are. Anyone needing proof of this should watch the most watched television event of February 2019 If the Dems retake control of the House. They will write articles of Impeachment that include every offense they can imagine of Trump. NONE of it will be proven or even have a shred of evidence that could be taken into court but he WILL be Impeached on their first vote after the articles are read into the record. 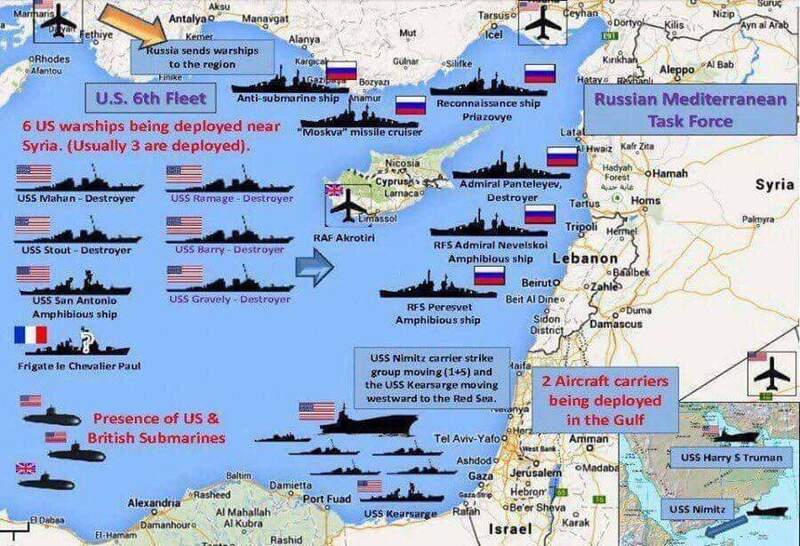 Bah, the US has been participating in Military Adventurism since Thomas Jefferson sent ships after the Barbary Pirates of north Africa. Trump fired missiles at Syria last year after the chemical attack and the Democrats all stood on crates and applauded him. They'll not have the guts to go after him for doing the same now. Unlike Trump, the Democrats care what the Media says about them. "Jefferson had written a couple of reports on the 'Barbary pirates' when he was a diplomat and believed their demands kept escalating because the only thing they understood was power,"
Why is it that there seems to always be an excuse for the middle east when their leaders get caught doing something wrong?